If you've never made bread, I have just one question for you: why not? It makes your house smell amazing, earns you major domestic rockstar points, and can be a great stress reliever. 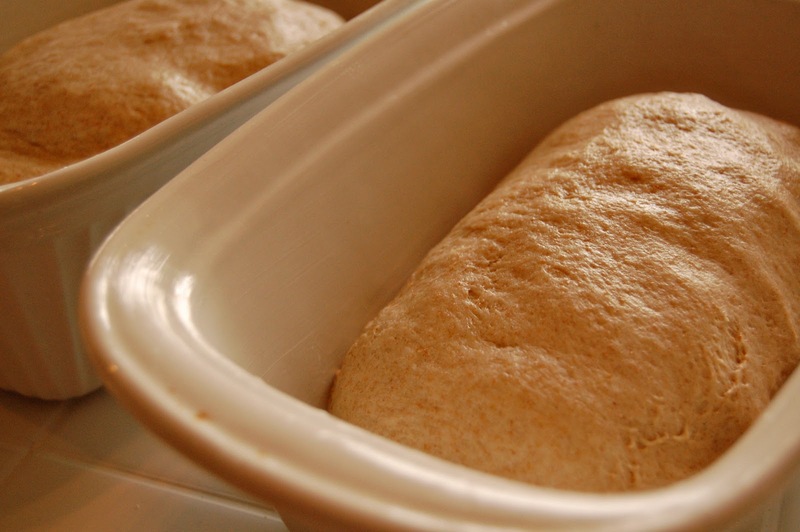 Kneading is like Play-Doh for grown ups. 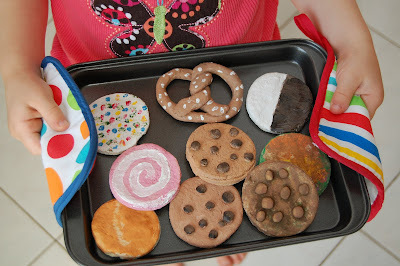 :) This is a great recipe to start on. It's a yummy accompaniment to soup, makes fabulous sandwiches (grilled cheese made with this, cheddar, and muenster is out of this world), and toasts beautifully. It makes two lovely, soft loaves, so you can freeze one for later. Punch down the dough. 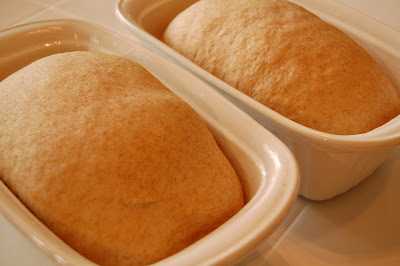 Shape into two loaves, and place into two well greased 9 x 5 inch loaf pans. 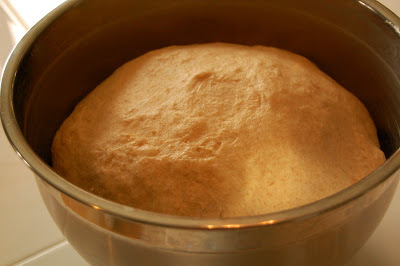 Allow to rise until dough is 1 to 1 1/2 inches above pans. 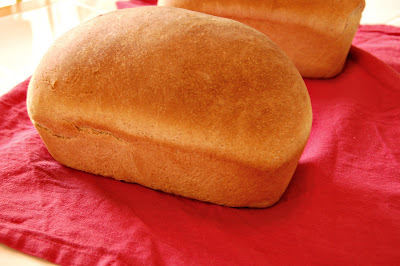 I've been making bread the past couple of months and have just been introduced to whole wheat flour. 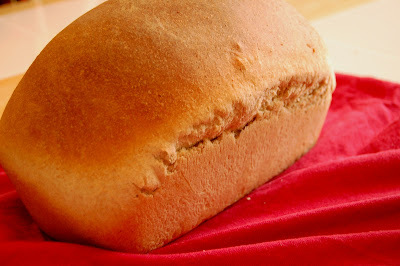 I haven't tried a bread recipe with it yet but perhaps I'll try this one. My breads always come out ok but the middle remains slightly doughy. I'm not sure if it's due to my temperature, timing or yeast. The stove is quite old so I'm not sure how well it's holding the temperature, I could try and measure it and calibrate. I'm following the recipe times very accurately. I'm having a real issue getting the yeast to proof but since this is my first time with bread starters I'm not sure how much foam to really expect. Any suggestions?